List elements can be customized as you like. This allows you to select hidden projects and tasks (when show hidden tasks mode is on), mark projects that contain unpaid time periods, etc. 1. Choose configuration. 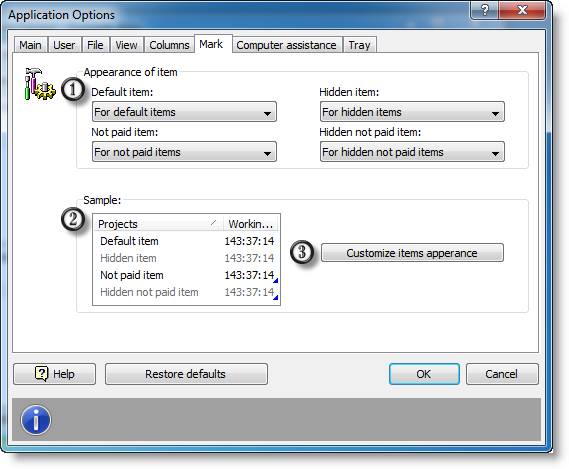 You can edit configurations via clicking the Customize item appearance button. 3. Click this to edit appearance settings.